I wish there was better review options. 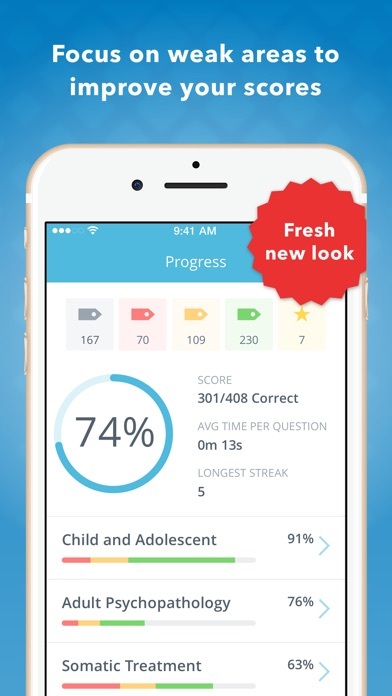 For example, it would be great to go back and review previous question sets after you complete them rather than just being able to see you're score. Also filtering questions you've already done into wrong or right. 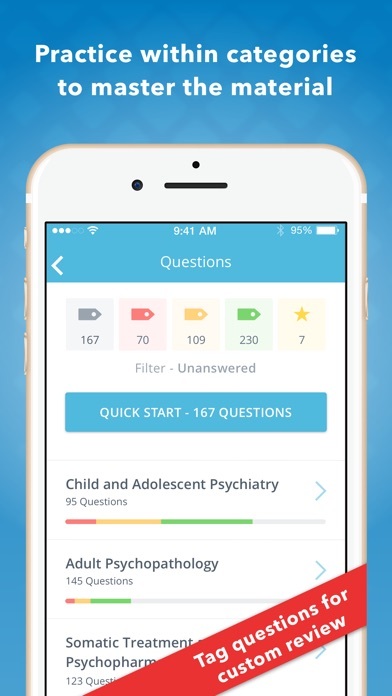 Great app overall and wonderful questions! Thanks. Fabulous! OMGerrrrd & it's FREE! WOOT! WOOT!! Any question involving the axis diagnoses are all wrong. No matter what answer you choose the answer is wrong! This should be a simple fix. Good content for shelf, better format than the text book, a lil on the expensive side. 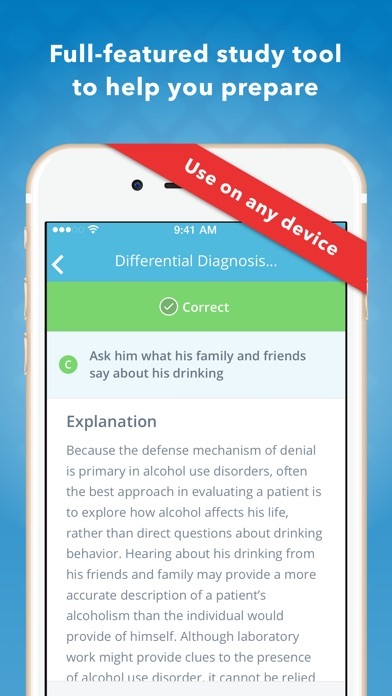 Great app for the pmhnp student. Currently on my psych rotation. 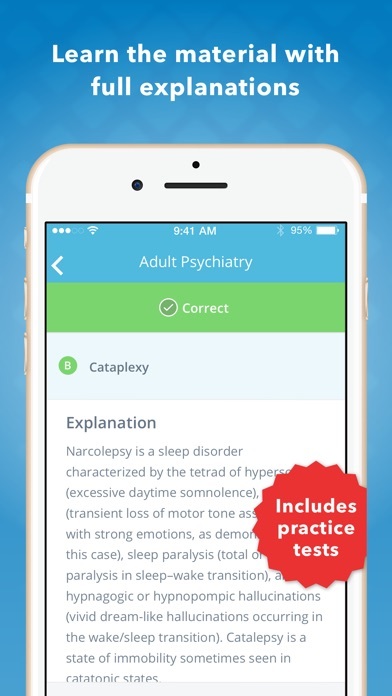 This app is great for review and learning! Also, it's free! Who can complain? This book along with PreTest is about all you need in reference to question sets for the shelf. Outside of question sets, your patients and possibly (but not necessarily) Case Files will fill in and complete the picture of your overall Psych rotation studies. As a recent graduate from residency this was great to keep me sharp!